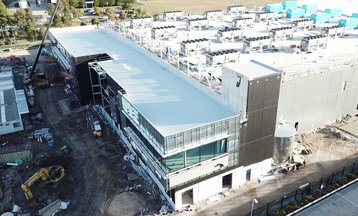 Digital Realty’s SYD11 data center at Erskine Park in Sydney is scheduled to open in the fourth quarter of 2018. 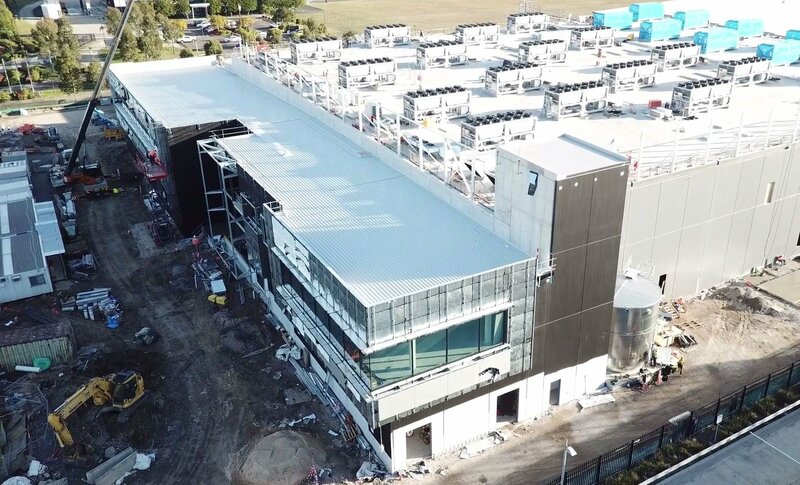 To look at how the new facility reflects both the evolution of Digital Realty’s global design standards and Australia’s capacity for early adoption of data center innovation, DCD spoke with Peter Adcock, VP of design and construction at Digital Realty Asia Pacific. Digital Realty is the largest data center owner, operator and developer in the world. According to Structure Research, at the end of 2016 it accounted for 20 percent of the wholesale colocation market by space. Nine months after the paper was published, the company merged with DuPont Fabros Technology, the third largest data center operator listed, thereby consolidating its position further. The majority of Digital Realty’s 205 properties and 32 million square feet (3.1 million square meters) at end 2017 were located in North America, but the Asia Pacific region is viewed as an important target for expansion. Inherent demographic and economic growth factors add an extra momentum to the increase in infrastructure requirements and its ‘fragmentation’ (to borrow the Digital Realty term) represents a mix of established markets able to support facilities that meet Digital Realty’s global standards, adjacent to high-growth emerging markets. Starting from zero at the beginning of the decade, Digital Realty saw some of its fastest growth in this particular region. Digital Jurong (SIN10) on the west side of Singapore, for example, is in the top three of the best-performing facilities in the whole of its global portfolio. Digital Realty first arrived in Australia with the SYD10 data center at Erskine Park, 42 kilometers west of the city center, at the end of 2012. A second data center in Deer Park, Melbourne, and a third at North Ryde, Sydney, followed in 2013. In meeting local IT infrastructure requirements, the facilities in Australia are playing a wider role within the Digital Realty standards program. Adcock sees Australians as early adopters of new technology, with data centers now in their second or third design iteration, as well as boasting a considerable heritage of incubating IT companies, and a culture that is not constrained by tradition. As an example, Adcock cites opportunities to prototype, test and develop alternative approaches to power and cooling – Digital Realty in Australia was the first to adopt the new distributed redundant power solution. SYD11 will also introduce the latest 4.0 Architecture POD modular design. SYD11 has been designed and constructed to take advantage of the economies of scale. The first key ingredient, common among major builders of data centers, is modular design. For Digital Realty, the module is typically 1,000 square meters in size and can provide power densities from 1.5 kW per square meter up to 3.0 kW per square meter. This range fits customers from wholesale up to the lower end of hyperscale, as Digital Realty does not offer retail colocation in Australia yet. Its projects typically also incorporates “skids” – modular electrical plant rooms at 400 volts and 11kV, with utility supply at 11kV, allowing generators to be shared in order to improve reliability and remove stranded capacity. The second key ingredient is management of the supply chain. In order to arrive at a cost-effective solution and to meet schedules, Digital Realty orders equipment on the basis of long lead times to use across several projects. “When it comes to the key requirements of time, quality and cost, it used to be said that you can get two but not all three,” Adcock told DCD. The practices that Digital Realty’s standards rely on also have their basis in analytics. Two hundred and five data centers, the largest footprint in the world and decades of feedback from the operations team enable Digital Realty to deploy capital very efficiently. Using an analytics program which has now reached version 3.0, and Data Center Infrastructure Management (DCIM) software to harvest data collected above the Building Management System (BMS), the information is analyzed globally by algorithms to see how the facilities can be adapted and fine-tuned. Complementing the deployment of IoT and analytics, there is also some application of AI within the BMS. Distributed intelligence is embedded in the units - in case of any interruption, the systems will return to the last known state until communications are re-established. The data center also uses CRAC control air balancers from Vertiv which can learn and optimize the air flow across the environment, rather than have one unit fighting another. Contracts are in place for power to be supplied to the site, and Adcock noted that one key advantage of a campus-style arrangement is that power can be guaranteed by switching from SYD10 to SYD11. Green energy is tailored to the requirements of specific customers on a global level. Sustainable practices have also been introduced in relation to water. The cooling solution is not reliant on water as it has a pumped refrigerant economizer function, and in light of the drought that has struck parts of the northern hemisphere this summer, this functionality cannot be underestimated.